Interlining finds all wider application. He made of nonwoven materials. Interlining allows you to sew the clothes to the details, experiencing significant load during wear and care for, not deformed. This is mainly collars, cuffs, all kinds of valves and trims. Recently, this material was used in construction during the finishing operations. Select the interlining. It is adhesive and nechaevym, and the use of a particular type depends on the purpose of the product. Adhesive interlining, in turn, is divided into several types. It can be with a paste-like or spot-coated and fibre-piercing web stuff. In color against a small selection. Are available black and white interlining. 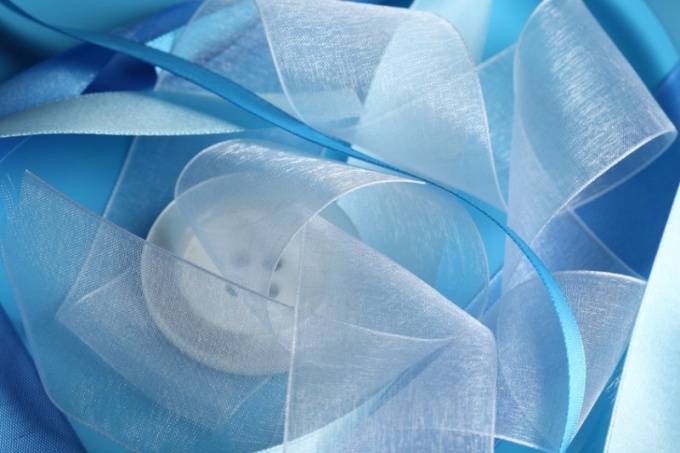 In the manufacture of clothes from light fabrics, use an adhesive interlining. He has a special adhesive layer, which allows you to attach it to the part. In order that the gasket is smooth, apply a few tricks. To make non-woven strip in two ways. Put on a piece of this material item and circle, then cut a strip along the contour. Small details can not be trace, and then cut after paste. Slightly moisten the interlining. Apply it adhesive on the wrong side of the details, aligning all the slices and fix with an iron. Don't forget that fleece is sensitive to temperature. Regulator of iron put a mark corresponding to the main fabric. To prithwijit the gasket is in any way — on the face of the fabric, fliselin or through the cloth. The last is the best way to use cheesecloth in a single layer. We need to ensure that the gasket is stuck evenly over the entire area of the part. Iron each section several times. Avoid Assembly and folds. If the item is large, the interlining can be pre-tack. Pin pins is undesirable because in these places the fabric can move. Where it is impossible the use of the adhesive nonwoven fabric, is used Nechaeva. It is firmer and holds its shape better. Therefore, they reinforce items of clothing made of thick fabrics, like raincoat fabric, drape and so on. The difference between the front and back sides of the eye almost invisible, but you can determine that one side is completely smooth and the other slightly rough. It is not glued, but sewn to the reverse side of the part. This interlining is very suitable for embroidery on fabric that stretches and generally bad form. In this case, it simply zaparivajut together. For embroidery you can use the adhesive interlining. This is done in exactly the same as when strengthening items. The strip can be sticked on the whole piece of fabric, and the outline of the drawing.